In another positive spin on climate change, researchers from North­eastern University’s Marine Sci­ence Center and the Uni­ver­sity of North Car­olina at Chapel Hill have discovered one species of coral that can actually benefit from a rise in ocean acidification. “The amount of change that would typ­i­cally occur in about 10 mil­lion years is being con­densed into a 300-​​year period,” Co-author and associate professor at Northeastern Justin Ries says. 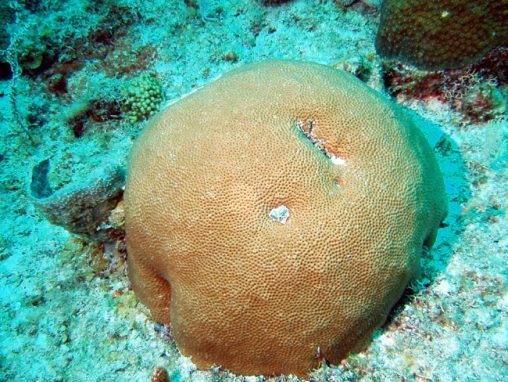 “It’s not the just the mag­ni­tude of the change that mat­ters to the organ­isms, but how quickly it is occurring.” Sideras­trea siderea courtesy of coralpedia.bio.warwick.ac.uk“The study showed that this species of coral (Sideras­trea siderea) exhib­ited a peaked or par­a­bolic response to both warming and acid­i­fi­ca­tion, that is, mod­erate acid­i­fi­ca­tion and warming actu­ally enhanced coral cal­ci­fi­ca­tion, with only extreme warming and acid­i­fi­ca­tion neg­a­tively impacting the corals. This was sur­prising given that most studies have shown that corals exhibit a more neg­a­tive response to even mod­erate acidification. Ries added. “Acid­i­fi­ca­tion of the sur­rounding sea­water is cer­tainly impor­tant for marine organ­isms, but what is equally as impor­tant — per­haps even more impor­tant — is how the chem­istry of their internal cal­ci­fying fluid responds to these changes in sea­water chem­istry.” Read more here! With 12+ years of experience, from import to export and everything in between, I have the pleasure of calling this hobby my own. Gifts for Your Aquarium Fiends (err Friends)!